recognition rate. 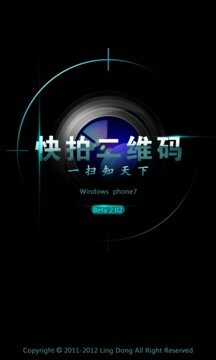 Once opened, it is able to scan barcode, which is perfectly suitable to single-finger using habit for Windows Phone7 users. collection. Besides, you can also designed personalized 2D Barcode business card, sharing scanning results anytime and showing your wonderful life to your friends. 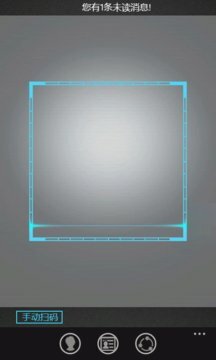 When the software is opened, the camera will be started automatically and scanning box be popped up. Just aim the circular scanning box at the barcode or 2D barcode of the product outer packing, you can easily get the recognition and results. So it is the really practical scanning tool and popular for all different kinds of user groups.